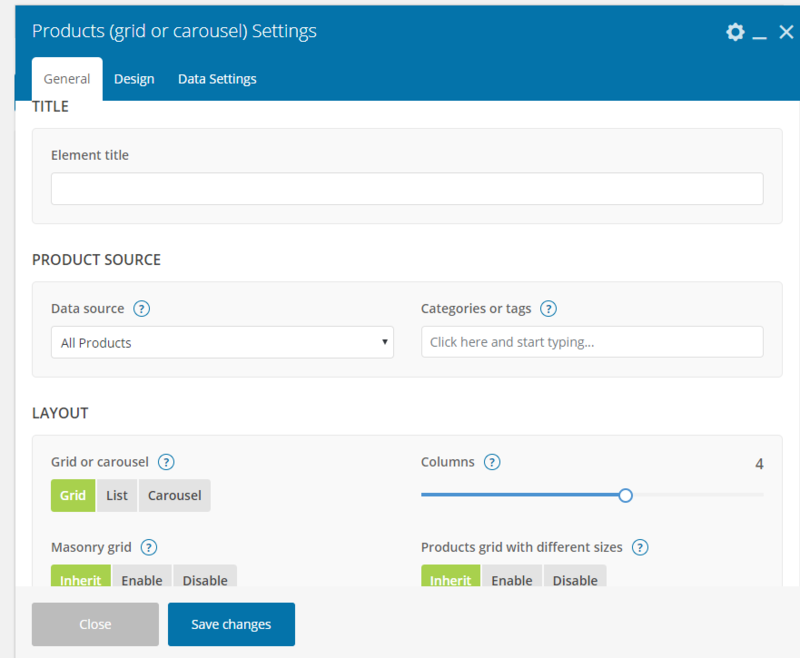 Product Grid/Carousel has three main tabs with options: General, Design and Data Settings. All products – all the existing products would be displayed. Featured products – products marked as featured in Dashboard -> Products -> products having star sign. 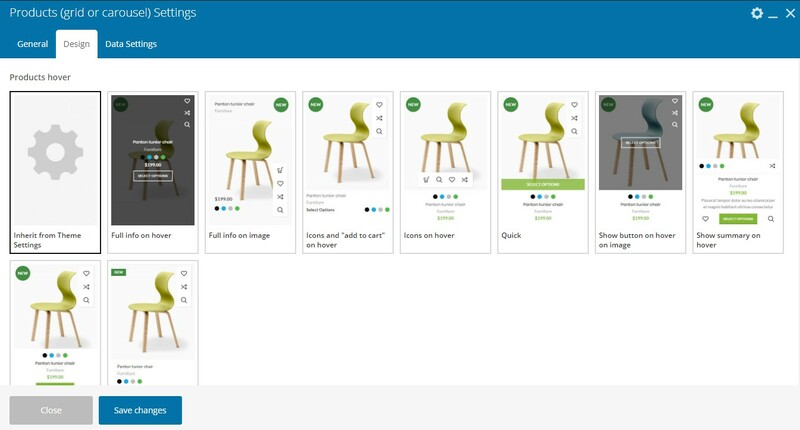 Products with NEW label – in order to show products with this label, you will need to activate labels in Theme Settings -> Shop > Product labels -> “New” label on products > “On”. Then it is necessary to configure a product to have “New” label: enter the product editing mode, navigate down to Product Settings (custom meta box from theme) and mark up the checkbox for Add “New” label. List of ID– option to insert product ID regardless category, tag, or product type. No pagination – the grid will show the number of “Item per page ” without any possibility to load more products. Load more button – will load more products by clicking. Infinite scrolling – more products will be loaded when you scroll the page down. 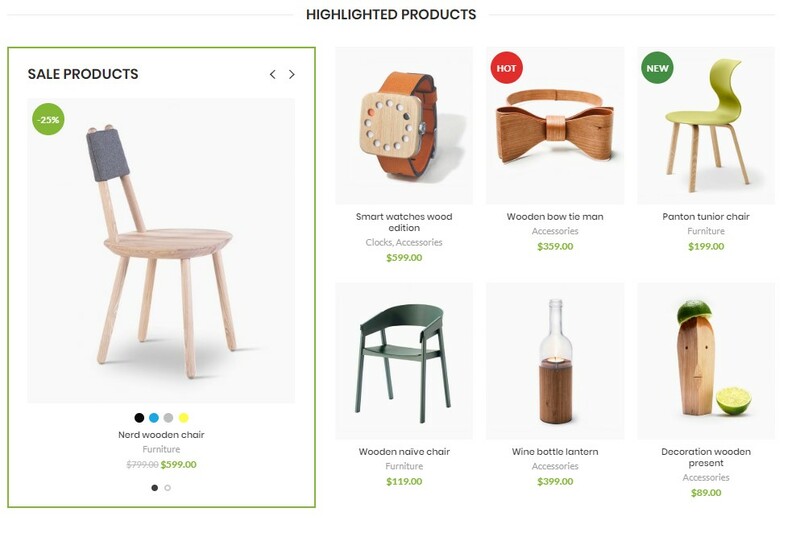 Arrows – will appear on grid hover and the next set of products stipulated in “Items per page” of the product would fade in. Images size – enter image size. Example: “thumbnail”, “medium”, “large”, “full” or other sizes defined by the current theme. Alternatively enter an image size in pixels: 200×100 (Width x Height). Sale countdown – the checkbox enabling countdown to the end sale date will be shown. Be sure you have set the final date of the product sale price. Highlighted products – the checkbox creating an eye-catching section of special products to promote them on your store. 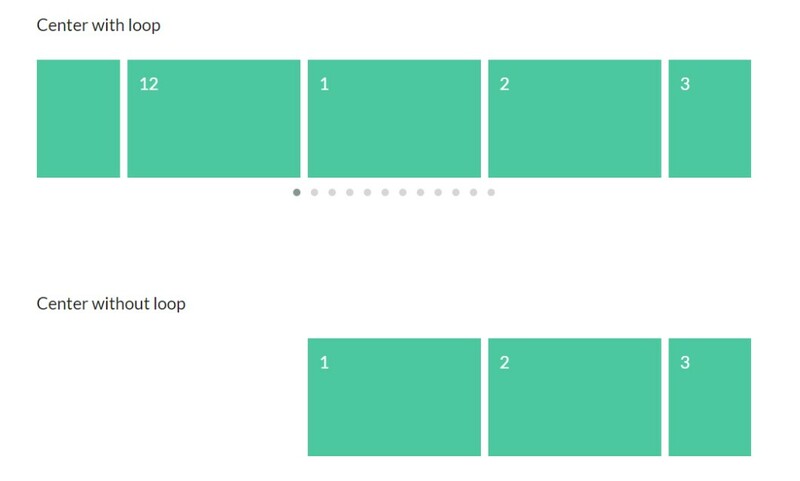 Slides per view – set numbers of slides you want to display at the same time on slider’s container for carousel mode..